In the UK, 850,000 people live with Dementia, with those numbers set to rise to over 1 million by 2025, that means that if this trend continues, then by 2051, this figure will soar to 2 million. With over 225,000 people set to be diagnosed with Dementia this year, this means that every 3 minutes someone is diagnosed with the disease whilst 1 in 6 people over the age of 80 suffer from Dementia. Bearing this in mind it is essential that your loved one receives the right level of professional care, whate ever their needs are, and most especially when it coems to Dementia care. Dementia describes different brain disorders that trigger a loss of brain function. These conditions are all usually progressive and eventually severe. Alzheimer's disease is the most common type of Dementia, affecting 62 per cent of those diagnosed. Symptoms of Dementia include memory loss, confusion and problems with speech and understanding. Unfortunately, dementia is a terminal condition. Sadly, there is no cure for Dementia. Research is ongoing, however, for every person suffering from dementia in the UK on average only £90 per person is spent on research making it incredibly underfunded. Just delaying the onset of dementia by five years would halve the number of deaths from the condition, saving 30,000 lives a year. What are the numbers globally? Around the world, an estimated 46.8 million people are reportedly living with dementia, with up to 7.7 million people every year becoming diagnosed. This means that every 20 years the number of people suffering from dementia is set to double, making the global figure set to hit 115.4 million in 2050. 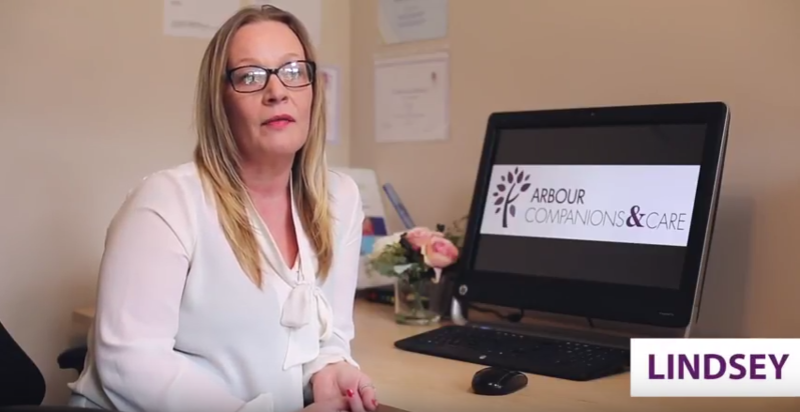 At Arbour Care, we specialise in ensuring all of our 24-hour-live-in carers have full dementia care training. We are seeing an increase of clients coming to us who suffer with dementia, and we take a great deal of time making sure that we understand the person and their backgound so that we can tailor our care to suit ther specific needs and interests. One of our processes is to go through an extensive assessment to gain a full understanding of their requirements, we then train our carer assigned to that client on their specific need or requirement to ensure they receive the best possible care. For more information on our dementia care services, visit our website or contact us today on 01932 901444 and Christina or Lindsey will be more than happy to take your call and answer any questions you may have. You can also watch our latest video where Lindsey explains the training process our carers go through in order to ensure they are fully trained to work with dementia patients.